Looking for ammunition in NH? Throughout New Hampshire, passionate gun owners are constantly looking for a steady supply of ammunition in NH. While most retailers limit the amount of boxes you can purchase to 3-5 daily, their shelves are normally bare, and when they unload a truck at 7:00AM the ammunition is usually gone by 10:00AM. While many people shop at that blue and white colored building, expecting to get great pricing, what good are great prices if there is no product on the shelves? This is where Old Glory Guns and Ammo comes in! 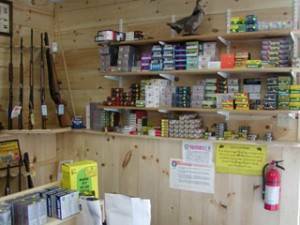 We are the gun shop to go to when you are looking for ammunition in NH! Through the years, we have built great business relationships with many of the manufacturers and suppliers, and our purchasing power gives us better access to a larger quantity of ammunition. We also stock a wider range of ammunition for various uses, whether it be target, sport, or personal protection ammunition. We pride ourselves on having exactly what you need when you need it, and have been satisfying our customer’s needs since 1998. So whether you are going out plinking this weekend, are evaluating new personal protection ammo and want to try out a couple of different brands, or are a competitive shooter looking for ammunition in NH, come by the shop to check out our great selection in all calibers and gauges. We are sure you will be satisfied with what you find at Old Glory Guns and Ammo, and we look forward to doing business with you in the future! If you have any questions, we can be reached at 603-878-2854.